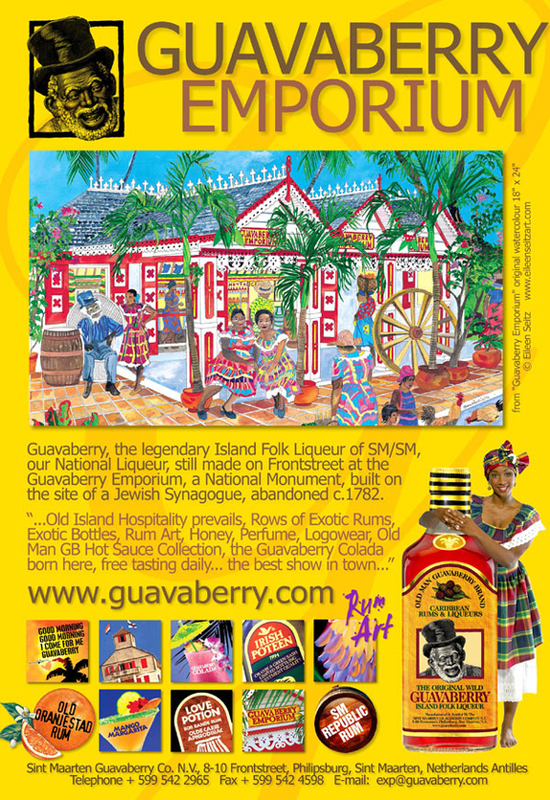 In 2000 I was once again contacted by the manager of the Historical Philipsburg World Famous landmark to create an updated 18″ x 24″ watercolor of the shop now called “Guavaberry Emporium”. 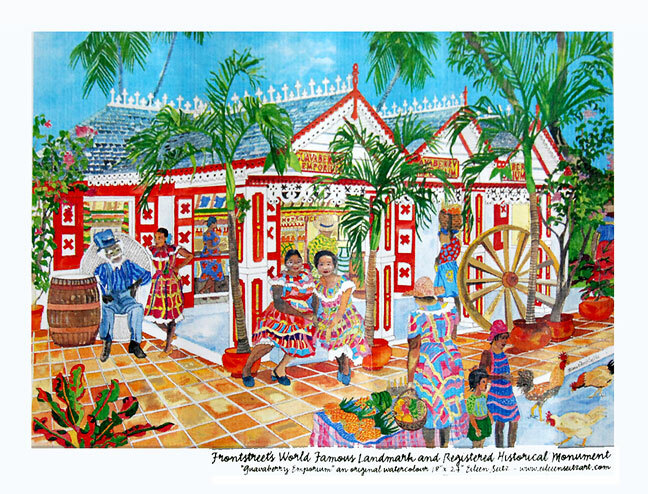 Including the local ladies and the native architecture this historical site in Philipsburg, Sint. Martin has been preserved. Here you can buy many jams, jellies and other goodies known on Sint Martin.